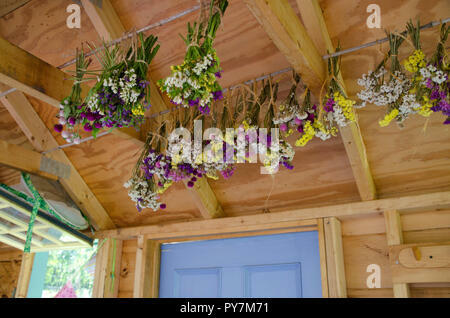 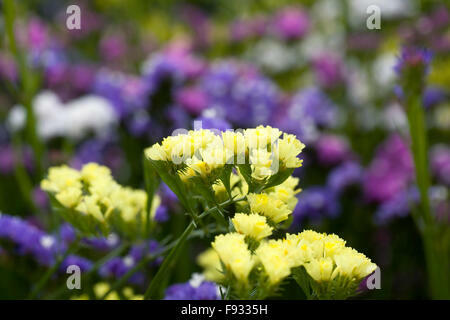 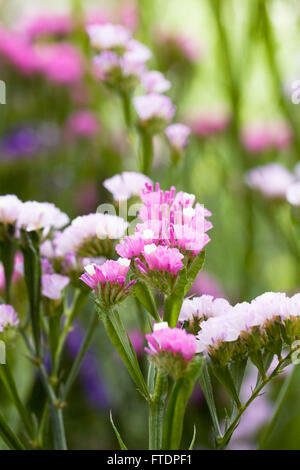 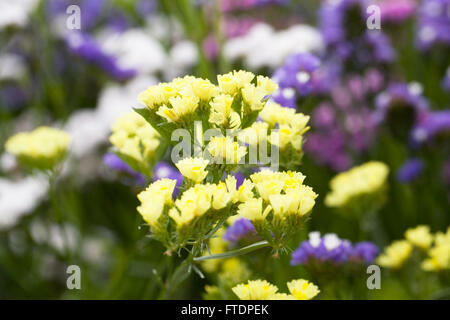 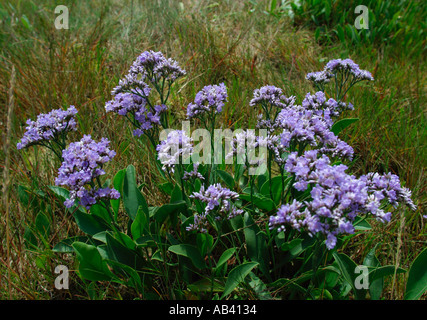 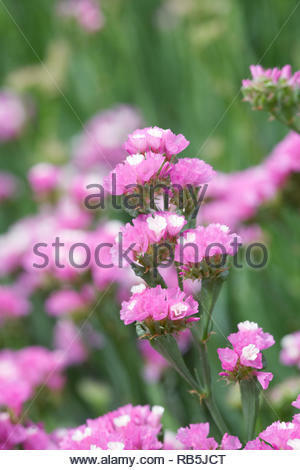 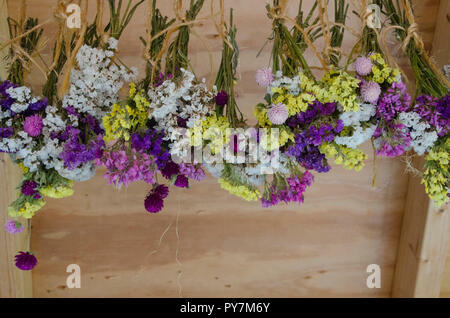 Limonium flowers. 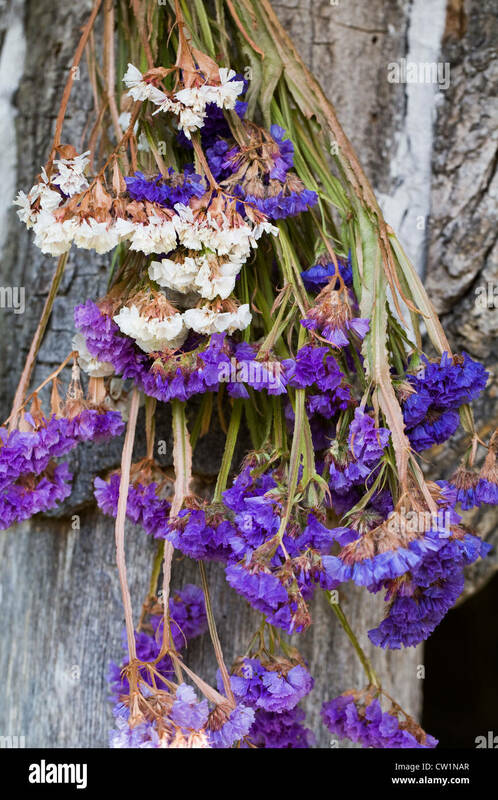 Statice drying in the sunshine. 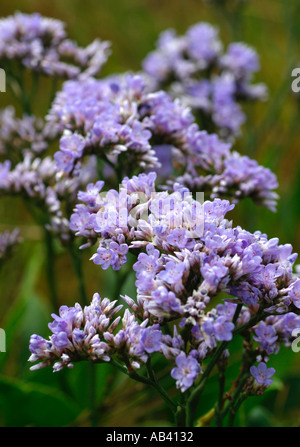 Limonium sinuatum 'Art Shades' flowers. 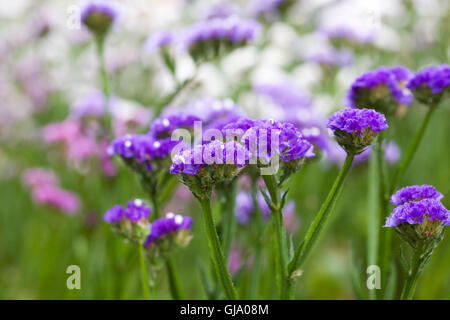 Statice growing in a summer border.